When Nancy Battagliese talks about a special project she’s involved with, she tends to get teary eyed. For more than 20 years, Nancy has been involved with humanitarian organizations that provide relief for places around the world. Her involvement with organizations has taken her to Mexico, across the US and the small country of Tajikistan. The places she’s visited are vastly different from the addresses she sees on leases as a Jackson Cross Partners’ Lease Administration Specialist. A particularly moving story Nancy tells about her humanitarian work is when she visited Tajikistan. She went to a prison for petty thieves where the organization was building latrines. As Nancy describes, “As I walked through the prison, I remember the show of appreciation from these men. This is what I love, to help people where there is need”. 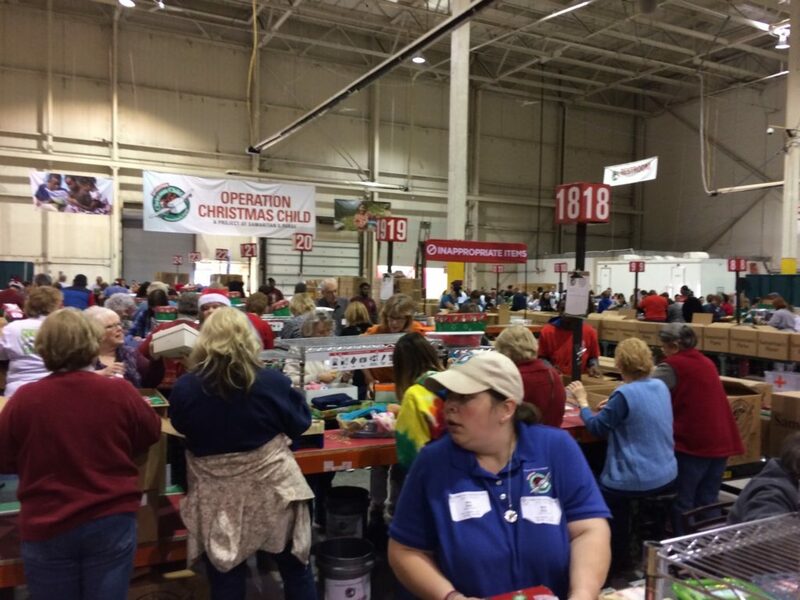 Recently, Nancy asked the JCP team to help with a project that is near and dear to her heart- Operation Christmas Child. JCP filled 53 shoeboxes with items for children in need. Nancy than took these boxes to a distribution center to combine with nearly 12 million other boxes that will be given out internationally. Nancy says she is ecstatic with JCP’s participation and says she gets great joy out of helping others in need.